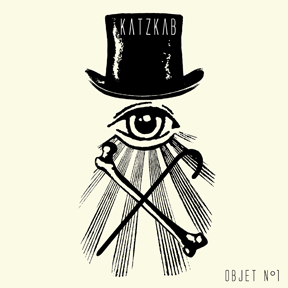 THE FIRST KATZKAB ALBUM "OBJECT N°1" IS OUT ! "For Objet N°1, KatzKab gives their compositions a more pop, frantic and crazy appeal, mixing perfectly with the electro-punk energy always present in their work. There are enough wickedly witty moods and sonic textures coaxed forth by this talented quintet to give you a quirky, posh & drunk experimental journey!" The digital edition is available on both Projekt and KatzKab Bandcamp or on Itunes ! "Object N°1" is also available in a special edition pack coming with the new Black tape for a blue girl CD "Tenderotics !" We just uploaded 3 new songs extracts on the KatzKab Bandcamp page ! 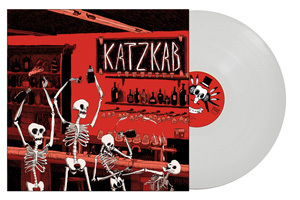 Check out the Merch section to get your KatzKab vinyl & Tee Shirt at a very special price ! The new KatzKab is now online. This is a raw and temporary version but you should find here all you need about the band. Check the Music section to listen to KatzKab new EP, all tracks are full length! The 10' vinyl limited edition of the EP in now on sale in the shop section! The Katzenjammer Kabarett official website can be found here : http://www.katzenjammer-kabarett.com.